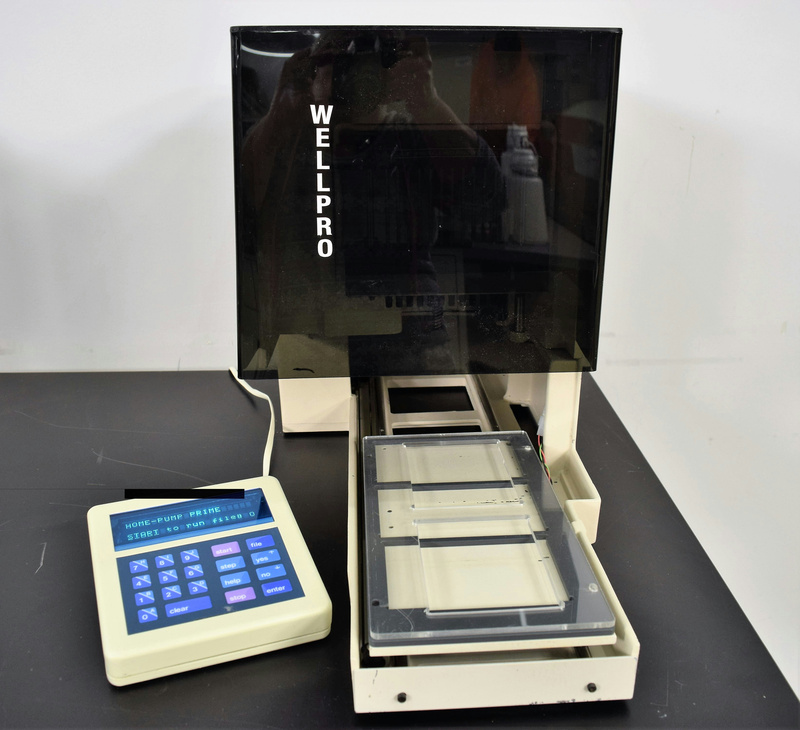 Thermo LabSystems Wellpro-96 Microplate Liquid Handling Dispensing . New Life Scientific, Inc.
Our on-site New Life Scientific technicians visually inspected and allowed the unit to initialize. The techs verified that the robotics are functioning properly and the controller responds without errors. Cycle ran, robotics work smoothly Some minor paint chipping.